Jesus tells us in the Gospel the truth that ‘it is easier for a camel to pass through the eye of a needle, than for a rich man to enter the Kingdom of God.” The hyperbole jolts us, that we too are compelled to ask Jesus as the disciples asked him: “Who then can be saved?” Jesus is speaking of eternal life as humanly impossible. But the hyperbole teaches us something else. He said, “It is hard” — not impossible — and it is easier for the camel to pass through a needle’s eye, than for a rich man — meaning difficult for a rich man, but also not impossible — to enter the Kingdom of God. In our life, we do have this notion that those who are rich have been favored by God. In fact, when we have gained some financial standing, we feel that God has poured His blessings on us. We thank him profusely with thanksgiving masses. We also can extend it to talented and intelligent people. They are often our objects of envy. In UP, we become envious of those who get high marks, but hardly studied. We become envious of popular and talented students whom people admire and want to be their friend. We envy the basketball players of Ateneo, La Salle, FEU because we all know that they have been pampered by the school and by their alumni. This notion that God supports the “rich” still is very much alive today. It seems it is impossible to compete with them, and much more to be like them. But Jesus says, “With God, it is possible.” The first reading is taken from the book of Judges. Gideon is one of them. These judges are not like our judges today who settle disputes. The Judges in the Bible are warriors — both men and women — who were empowered by the Spirit to bring military deliverance to Israel. In Gideon’s time, a large army of Midianites and other nations united against Israel. The Lord told Gideon that he would be made strong and that he was to save Israel from the Midianites. Gideon raised 32,000, but after several tests, it slimmed down to 300 men. At night, Gideon and his 300 men, lit torches, blew trumpets and shouted, “For the Lord and for Gideon.” They stood up and watched as the enemy panicked. Midian never recovered and there was peace in the land for 40 years. The victory over the Midianites was remembered and celebrated to this day as the “Day of Midian.” With 300 men, they would have lost. But with God, they didn’t. Let’s look at two Filipino ‘losers’. Aria Clemente did not make it to the Little Big Superstar competition in ABS-CBN. She was in fact eliminated. 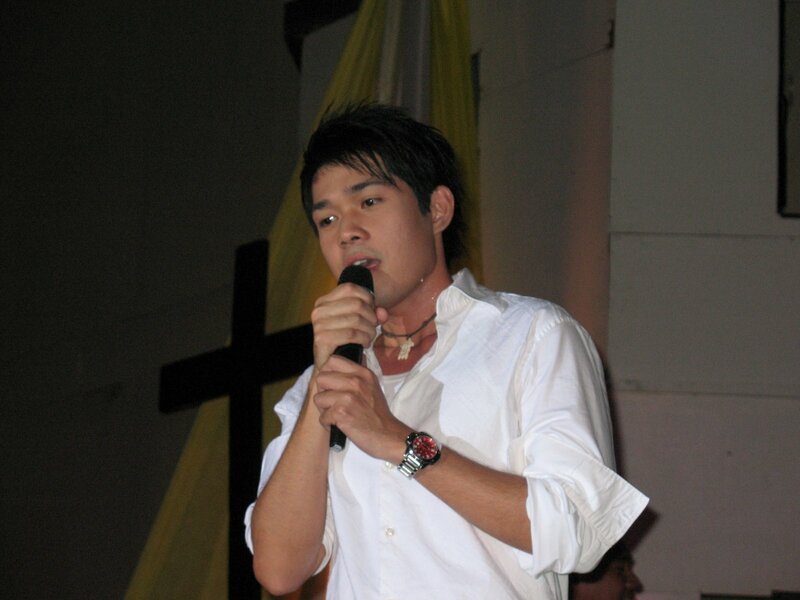 Mr. Reymond Sajor was #10 in the 1st Season of Philippine Idol in ABC 5. But last 3 August 2007, they have bested entries from 40 countries in the 11th World Championship of Performing Arts (WCOPA) in Hollywood. Aria emerged as the Overall Grand Champion of the World (Junior). Mr. Reymond Sajor won the Grand Champion Senior Vocalist of the World with his rendition of “Anthem” from the musical Chess. The WCOPA is the Hollywood Olympics for performers and entertainers. Reymond is a personal friend of mine. Before all of this, he asked for our prayers. True, what seemed at first impossible, became possible with God. *Mr. Reymond Sajor performing in one of the events of the Jesuit Music Ministry. Previous What Do We still Lack?